We develop young skills in concert with delivery of great software projects.​ We call this "Skills First". We can provide solid resources and project management for your software projects. We believe passionately in gender and equity transformation. We are a passionate group of IT professionals, and entrepreneurs looking to make a difference in how young people are cultivated and how focused projects can be delivered more cost effectively. We believe in "local sourcing", bringing back software projects to SA. Learn more about management and shareholders below. Pebble Thabile Hlubi is an Entrepreneur, Project Manager, and Motivational Speaker. She sits on the board of Kaleidocode Pivot and is the Managing Director. Her experience and skillset have been earned over more than a decade in the ICT industry in both the network infrastructure and software development space, working as a project manager and mentor as well as operating in various leadership roles. ​She has a passion for, and is an activist in various youth and women empowerment organisations, and is a member in good standing of the Phumlani M Foundation and the BWASA. When not in the office or working with one of her organisations, Pebble can be found spending time with her family or running. 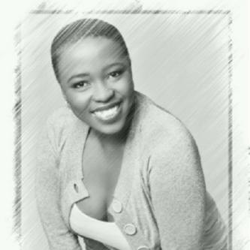 Karabo Che Mokoape is a Durban based Social Entrepreneur, Writer, and Speaker. He is the CEO of Home Cloud Solutions, the Ubambo Group, Ubambo Software Solutions and Khula Mining. He sits on the boards of several organisations including: Kaleidocode Pivot, Hilton College, The FutureLife Foundation, Rietspruit Crushers, Emcom wireless, The Light Trust, The Izingane Zethu Children’s trust, African Enterprise and Alpha KZN. His core skills are strategic leadership and planning, communication and personal development. Karabo has a vast knowledge regarding systems, operations and social responsibility which he has applied in strategically advising a wide range of organisations in various industries. A true global citizen, he has travelled to more than 70 countries and speaks a number of foreign languages, including French and Spanish. Karabo also has a background as a journalist, having been a foreign correspondent for various media outlets, including the South African Broadcasting Corporation (SABC). He has covered the conflicts in Somalia, Gaza, Afghanistan and the Ivory Coast to name but a few. Kaleidocode is an enterprise software development company located in Durban, South Africa. We create software solutions for blue chip clients in the financial services, professional services, and BPO industries. Kaleidocode is excited to be a shareholder in KCP. We delight in effective skills sourcing and skills development for a new South Africa. KC Pivot (KCP) is owned and managed by Pebble Hlubi, Karabo Mokoape, and Kaleidocode. KCP is a Level 2 Contributor, 51% Black Owned, 31% Black Woman Owned EME empowering supplier.